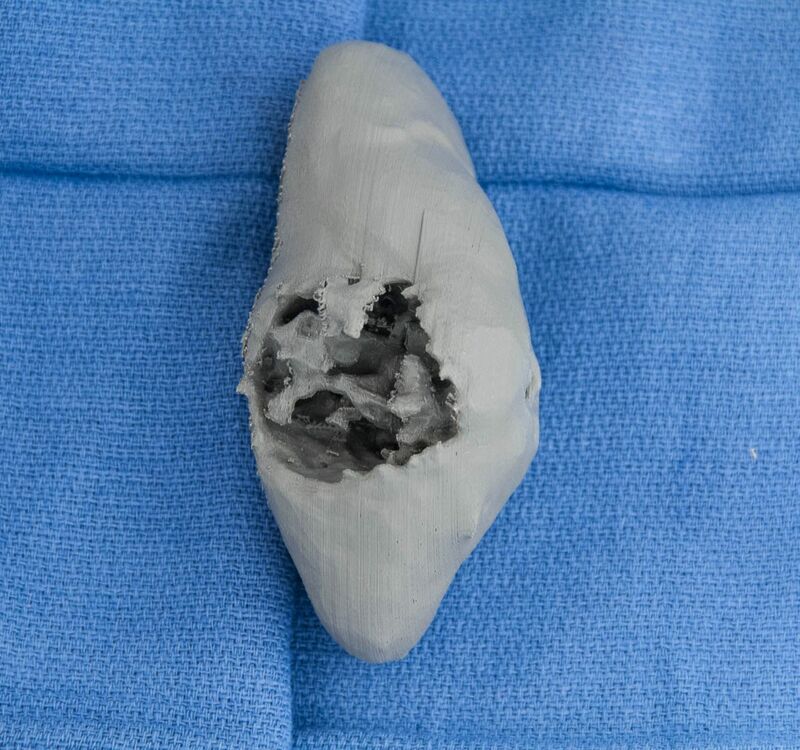 Every 3D printing case is different, and must be tailored for the individual patient’s specific clinical condition, anatomy, and imaging techniques. 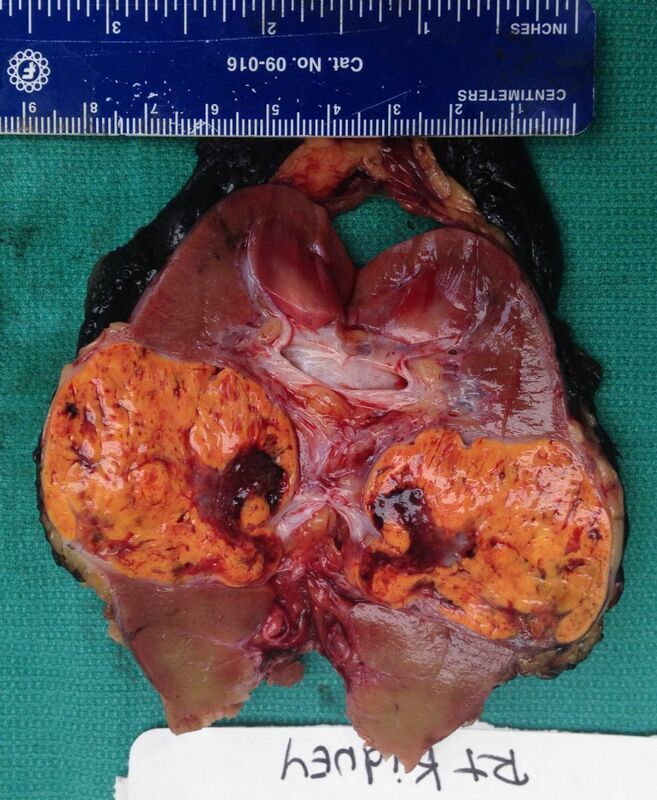 A 47 year old woman with a renal mass was being evaluated for surgical treatment planning. A urologist familiar with my current 3D printing work requested a 3D printed model of the kidney. The purpose was to help demonstrate the anatomy of the mass with respect to the renal hilum, to help determine if a partial nephrectomy was possible, or if a total nephrectomy was required. The patient had a documented reaction to radiographic iodinated contrast, and therefore an MRI was performed instead of a CT scan. The scan was performed on a 1.5 T GE Signa Excite system. The data set from a coronal 3D gradient echo pulse sequence acquisition was chosen because it best visualized the tumor encroachment into the renal sinus. 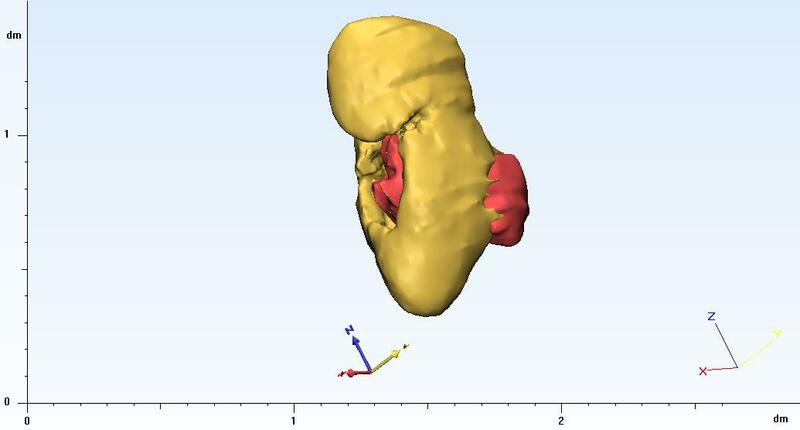 The 3D model was created from segmentation of the kidney from the 3D gradient echo acquisition. 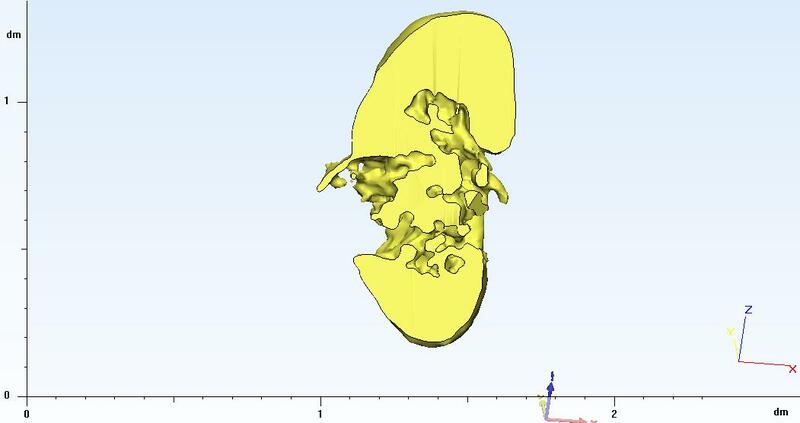 The renal parenchyma was then made into the digital 3D model, leaving the mass as negative space. 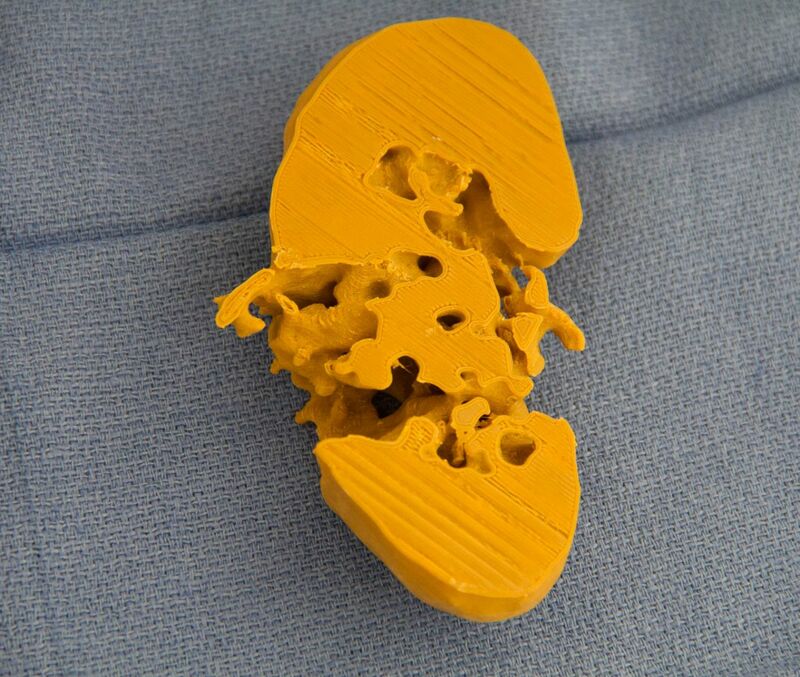 This was then printed to demonstrate the entire kidney. 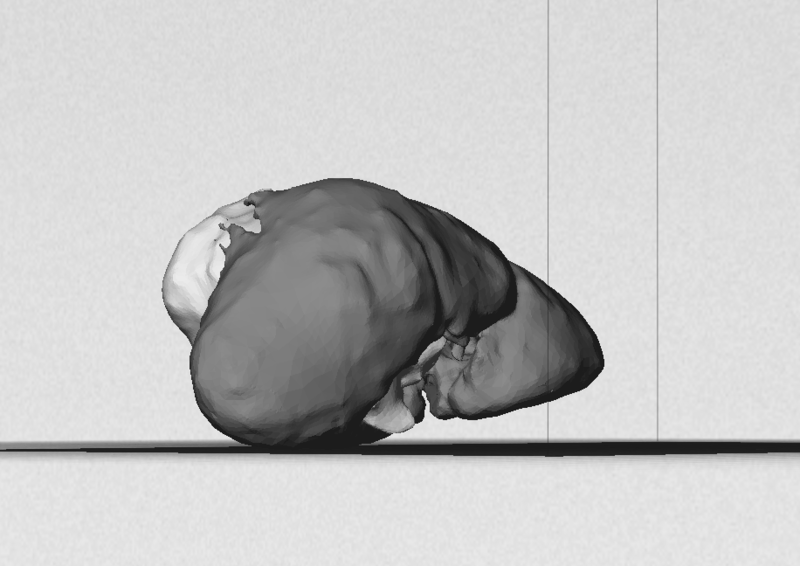 An additional 3D model was created showing a bisected view of the kidney along the coronal plane. This was done to see which model would be of more utility. The patient’s DICOM image files from the MRI were processed using the Materialise Innovation Suite’s Mimics and 3-matic software. 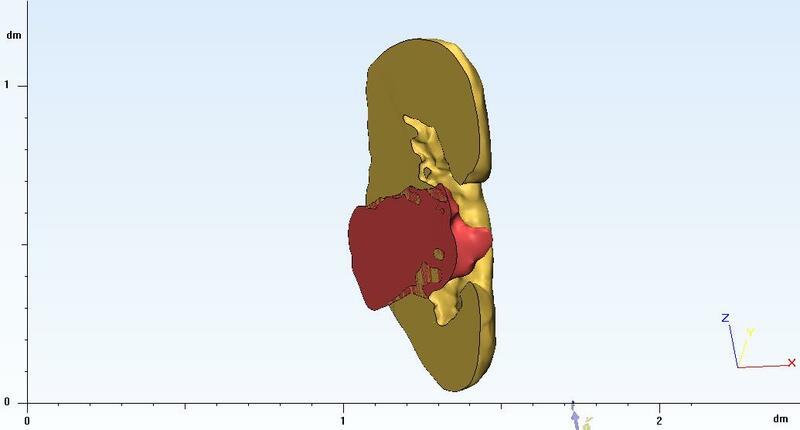 Initially I used the Mimics software segmentation tool to segment the normal renal parenchymal tissue. This left a filling defect where the mass was. 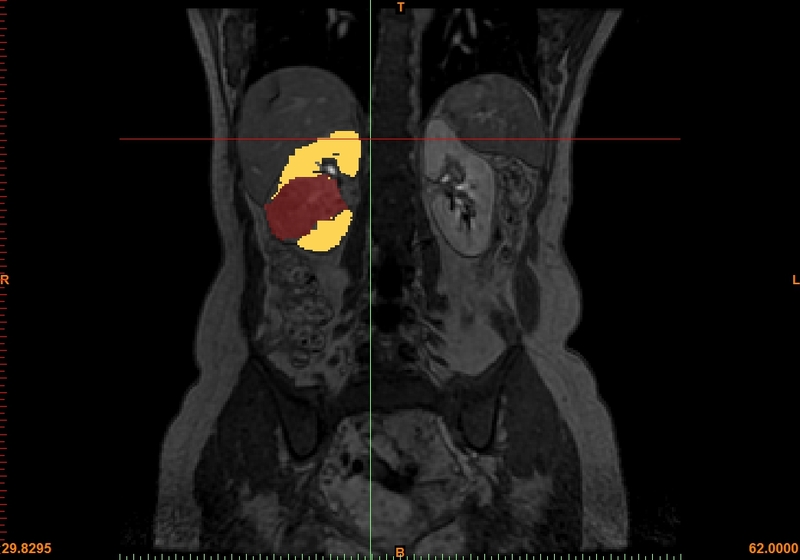 This negative space was useful for demonstrating the extent of the tumor. 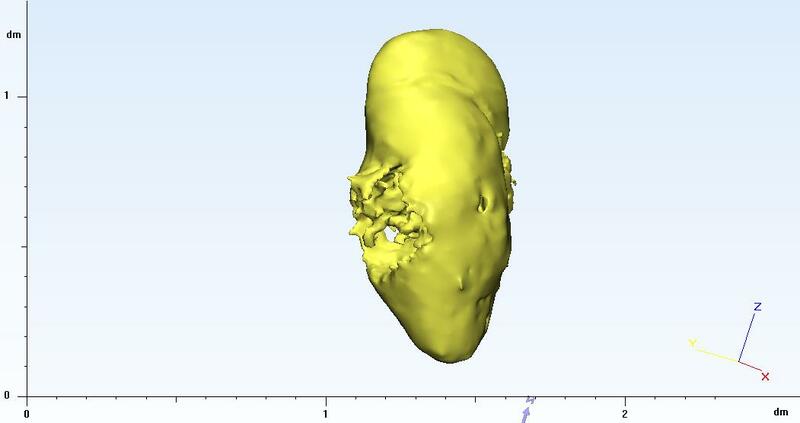 Using the 3-matic application I then took the 3D digital representation and created a model cut in the coronal plane. This helped better define the extent of the tumor invasion into the renal hilum. 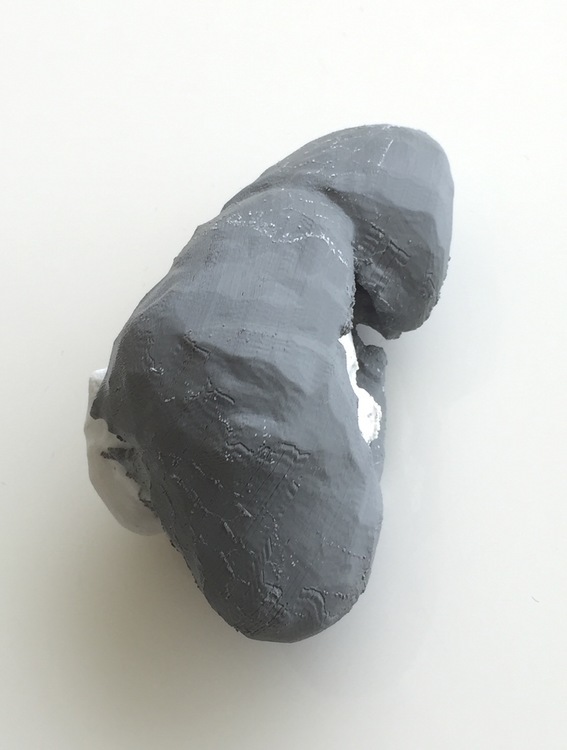 Both the full kidney and the coronal bisected models were printed for the surgeon and the patient to review. 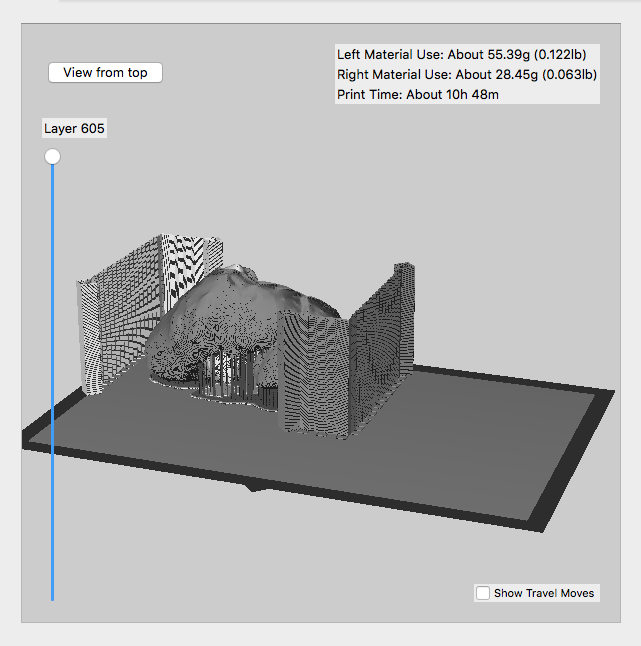 The STL (stereolithography or standard tesselation language) files generated for the 3D models were then imported into both the Cura and MakerBot slicing software applications to generate the gcode for the Ultimaker 2 and .x3g file for the MakerBot printers. Fused filament printing of the full kidney using Acrylonitrile Butadiene Styrene (ABS) on the MakerBot Replicator 2X Experimental Printer and sectioned kidney in Polylactic Acid (PLA) on the Ultimaker 2 printer. In general I prefer PLA to ABS. With PLA there is less shrinkage and warping of the material during the printing process. PLA is of plant based origin (here in the US it is derived from corn starch) and can print lower layer height and sharper printed corners. 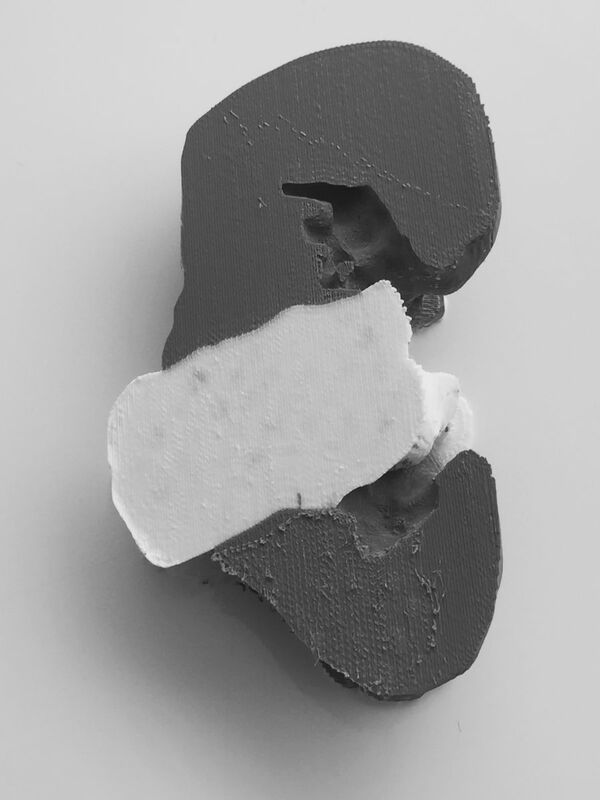 PLA, a biodegradable plastic is used in medical devices and surgical implants, as it possesses the ability to degrade into inoffensive lactic acid in the body. The urologist showed the models to the patient, and it help to convince her of the necessity of a total nephrectomy, rather than a partial nephrectomy. Thanks for sharing the videos. It is very exciting to see this technology in the hands of clinicians.